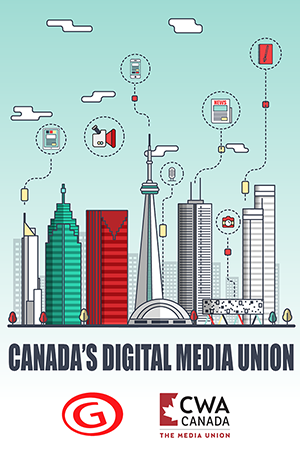 Postmedia was hit with a mid-winter blast from a third CWA Canada Local to respond to concessionary demands with a near-unanimous strike vote. More than 100 members of the Windsor Typographical Union, who work in the mailroom of the Windsor Star, along with about 80 workers represented by Unifor, voted 97 per cent in favour of a strike if they don’t get a decent offer to renew the contract that expired at the end of 2016. The late-January vote mirrored those held at The Gazette in Montreal in September and the Ottawa Citizen/Sun several months earlier. Postmedia has slashed its workforce in recent years, leaving skeleton crews to produce its newspapers. In January 2017, it began an assault on pensions and benefits, imposing cuts on non-union staff (triggering an organizing drive at the National Post) and demanding major concessions at the bargaining table. The company’s actions spurred the Locals in Ottawa, Montreal and Windsor to vow a united stand against the unreasonable demands. 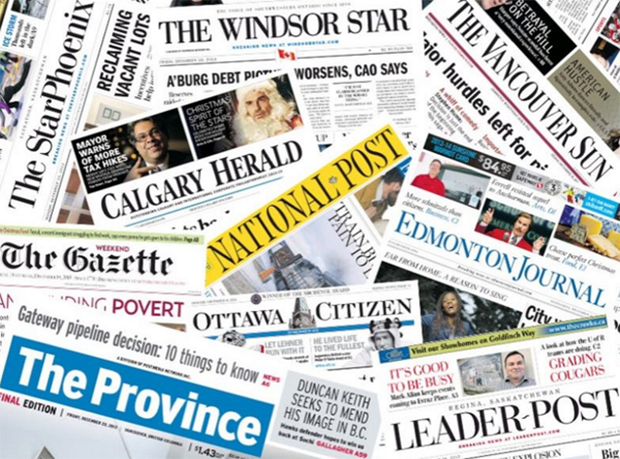 Even as it was seeking to cut pensions and benefits for workers, Postmedia had the gall to announce huge pay raises for top executives as it reported another quarterly profit in mid-January. It remains to be seen whether the strike votes will have an impact in the upcoming triple header of talks: The Ottawa Newspaper Guild (Local 30205) will be back in conciliation Feb. 26 and 27. 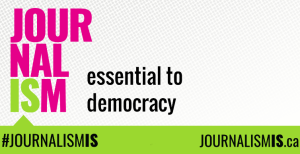 The Montreal Newspaper Guild (Local 30111) has its first round of bargaining scheduled for March 20-22. Windsor (Local 30553) will be in conciliation the week of April 9. Meanwhile, the Sault Ste Marie Typographical Union (Local 30746) is in a holding pattern. There were meetings held in October at the Sault Star, but nothing since then, said Wilson. Collective agreements reached at two other Locals could be affected by whatever is achieved in Ottawa, Montreal or Windsor. Wilson said the North Bay Newspaper Guild (Local 30241) in early January ratified a new contract with The Nugget that contains “me too” provisions. It means that improvements to pensions, benefits and wages won in bargaining by the other Locals, will apply to their deal, which runs until 2021. Members of the Kingston Typographical Union (Local 30204) reached a similar “me too” settlement in the fall at the Whig Standard, where the four-year contract expires next January.